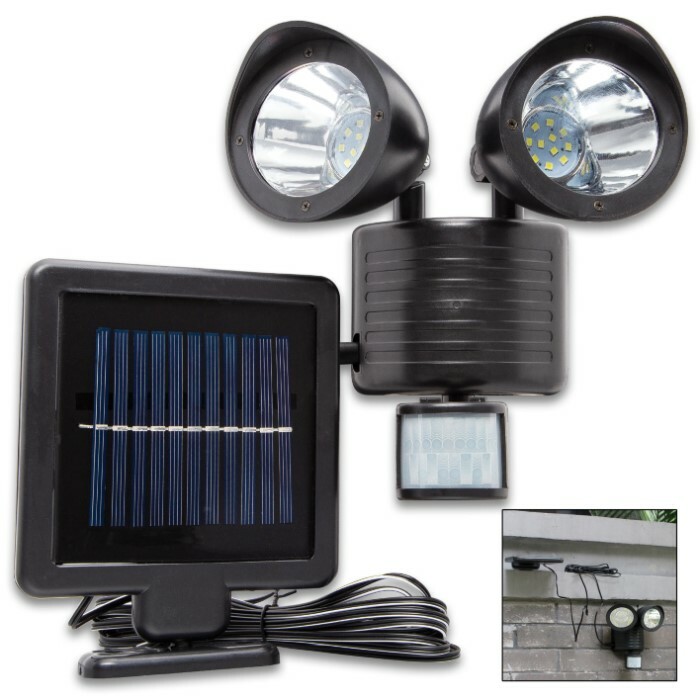 Night Watchman Outdoor Motion Security Light - 22 LEDS, Adjustable Sensitivity And Timing, Solar Powered Li-Ion Battery | BUDK.com - Knives & Swords At The Lowest Prices! 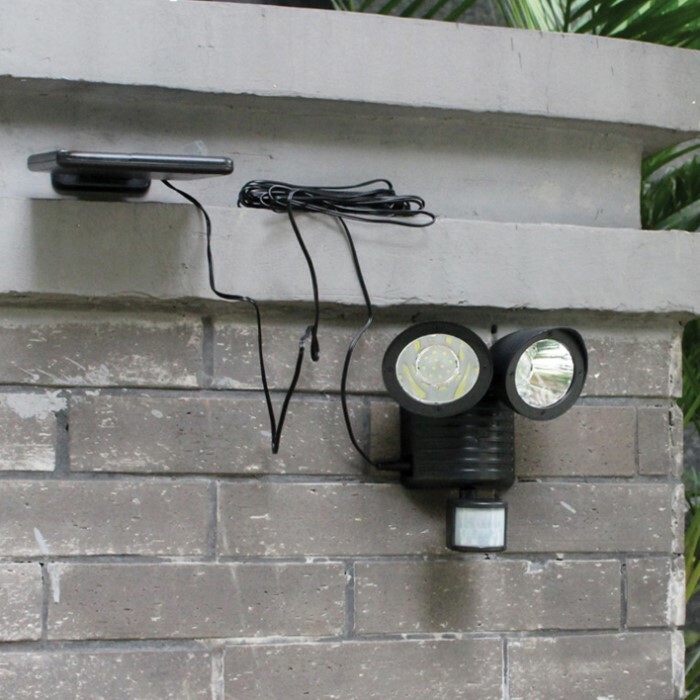 Night Watchman’s Outdoor Motion Security Light is your best option for adding that extra measure of security to your property and as a convenient light source for your patio, walkways and garden. 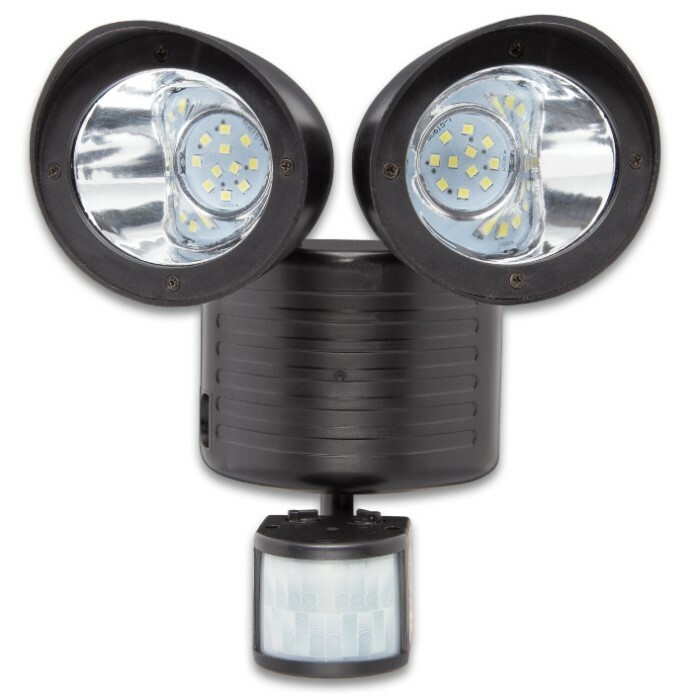 The security light is constructed of tough ABS and has 22 bright LED lights, which are powered by a solar charged Li-ion battery. 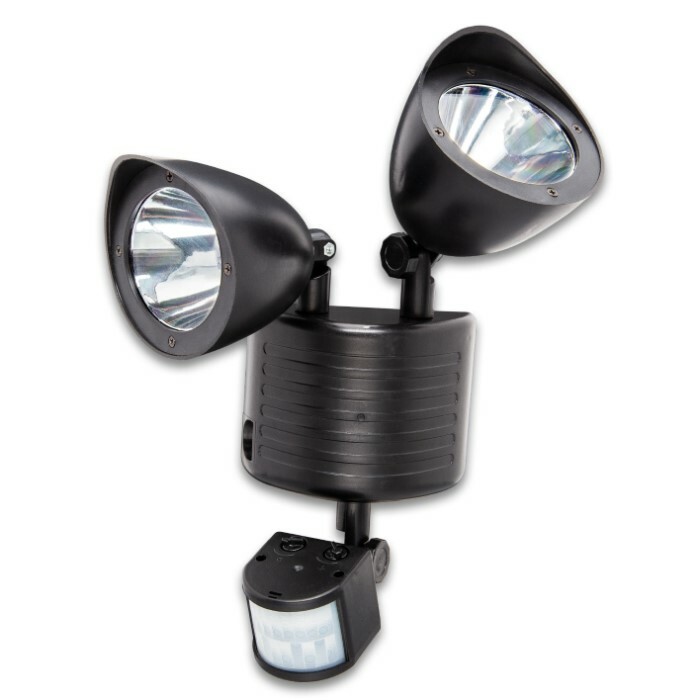 An outdoor location with direct sunlight every day is the ideal spot for this outdoor light unit. 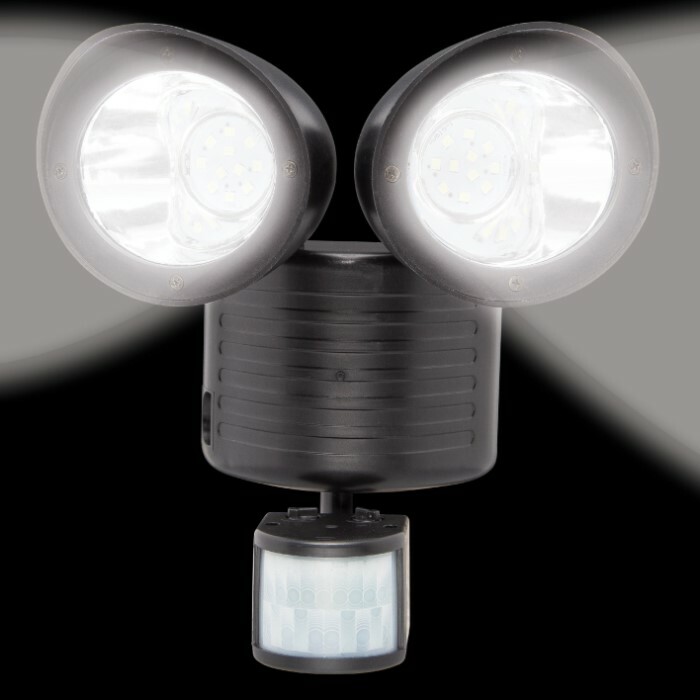 The rotatable, double-headed lights are activated by a motion detector with a range of 120 degrees and 3 to 8 meters max and the sensitivity to light and the duration the light stays on can be easily adjusted with the dials on the back. 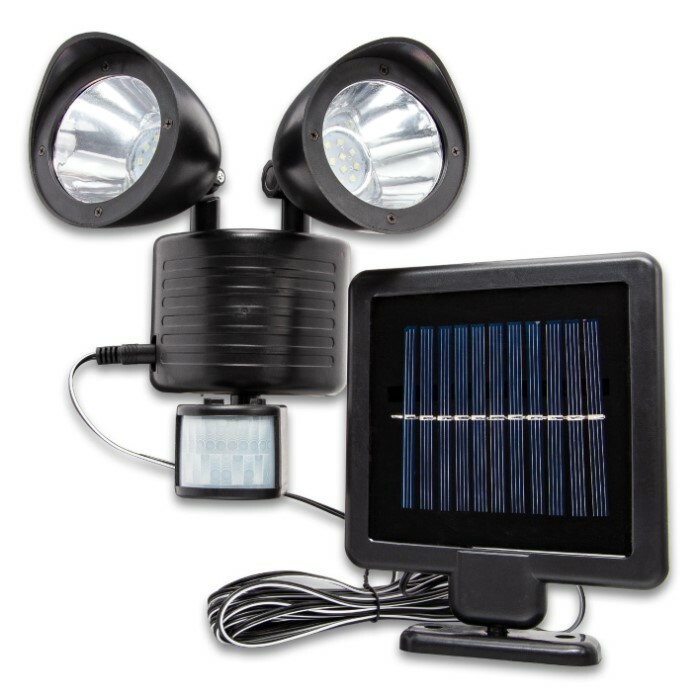 The powerful solar panel attaches to the unit with a 5-meter cable and all mounting hardware is included in box. Buy one for each side of your house and you will always be alerted if there is something suspicious going on at night!